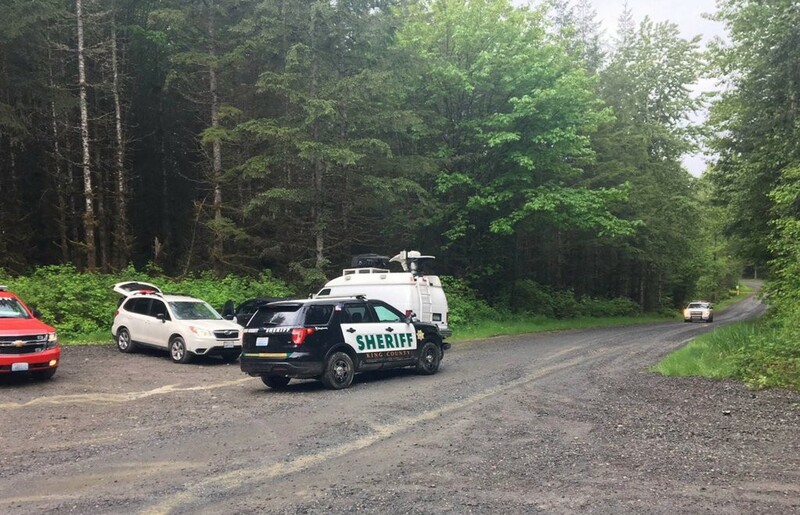 The authorities responding near Lake Hancock, northeast of Snoqualmie, Wash., where a cougar attacked two bicyclists on Saturday, killing one of them. Authorities said the two cyclists saw the cougar, a 100-pound male, in pursuit and one of them screamed. They stopped, got off their bikes and made noise to ward it off as people in such situations are advised to do, authorities said. At first, it appeared to work. The cougar fled. But as they were about to pedal away, the cougar returned, Sgt. Ryan Abbott of the King County Sheriff’s Office said. It jumped on Isaac M. Sederbaum, putting its mouth around his head and shaking him. It released him and chased after the other cyclist, Sonja J. Brooks, who had started to run. As Sederbaum, who had been bloodied but survived, rode away from the scene, he could see the cougar dragging Brooks into the woods, Abbott said. Sederbaum later told authorities that he had to travel about 2 miles before getting a cellphone signal and calling 911. By the time help arrived, it was too late. Officers found the body of Brooks, 32, underneath a log and debris in what appeared to be the cougar’s den. The animal was atop the body, said Capt. Alan Myers of the Washington Department of Fish and Wildlife Police. The attack happened around Lake Hancock, near Snoqualmie, Washington, about 30 miles east of Seattle. Brooks’ death was the first time a cougar had killed a human in Washington since 1924, Myers said. After locating the cougar, a deputy fired at it and it fled. Authorities later tracked it to a nearby gully using hounds, Myers said. A hound chased the cougar into a tree, and officers fired at least four rounds. The cougar was knocked out of the tree and was fatally shot as it tried to escape. Sederbaum was taken by helicopter to Harborview Medical Center in Seattle. Sederbaum, 31, was upgraded to satisfactory condition, the hospital said on Twitter late Saturday.